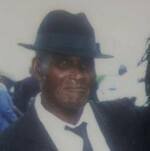 Neville Sylvester Brewster, aged 79, late of Haynes Hill, Mapp Hill, St. Michael. Father of David Skeete (B.W.A), Sonia Grecia (USA), Yvette Hinds (Bethel Church), Ricardo Leacock (Teacher of A. Dacosta Edwards Primary School), Joycelyn Lovell, Margo and Michelle Turney. Brother of Leroy and Godvin Brewster and the late Arthur Hallett. The funeral of the late Neville Sylvester Brewster leaves Tudor’s Funeral Home, The Ivy, St. Michael on Wednesday, December 19th, 2018, at 11:45am for the Haggatt Hall Wesleyan Holiness Church, Pasture Road, St. Michael, where relatives and friends are asked to meet at 1:00pm for a Service of Thanksgiving. The cortege will then proceed to the Westbury Cemetery for the Interment. Flowers may be sent to Tudor’s Funeral Home, no later than 11:30am on Wednesday. The body will repose for viewing in the Chapel of Tudor’s Funeral Home on Tuesday, December 18th, from 4:00pm until 6:00pm.